Welcome to Bliss! Your new favorite beach vacation spot! Bliss was built in 2014. Bliss is unique in that it was built with renters in mind. After years of renting homes within Seacrest, the owners knew what worked best for families and built it with the goal of both entertaining and serenity. 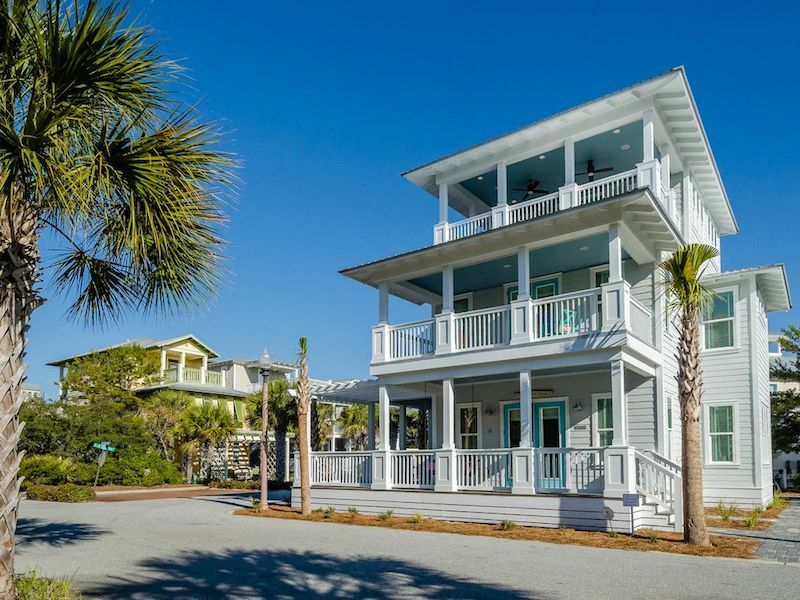 With 2 living spaces – one on bottom floor, the other on top floor – porches galore and plenty of private sleeping areas, you will get your many moments of vacation. Whether you are watching the children zoom around on their bikes in the cul-de-sac as you swing on the covered front porch, or while you are making shrimp gumbo inside the big cook’s kitchen, you will be in heaven! Bliss is located just one row off 30A so you will miss the street noise from 30A but keep the Gulf views. Bliss is steps to the beach and pool and perfectly placed between Alys Beach and Rosemary Beach. It is a short walk to Seacrest Village with its fun live music, restaurants and shopping. The 3-story custom home has an open floor plan and was built with easy living in mind, stylish yet simple.